Those words were used to introduce Ken and Roberta Williams at the Gaming Industry Awards in 2014, where they were honored with the prestigious lifetime achievement award. It’s well-deserved recognition, as Sierra and its husband-and-wife founders are considered to have left a deep legacy on the computer gaming industry in general, and adventure games specifically. But how do we define ‘legacy’? Mystery House is an obvious point to start from when defining Sierra’s enduring imprint. It represented, after all, a momentous evolution of an entire genre, which certainly qualifies as the start of a legacy. The cause of women in gaming also owes a lot to Sierra. Roberta Williams, credited with creating the graphic adventure game, also developed the King’s Quest series and pushed the boundaries of acting in games with Phantasmagoria. 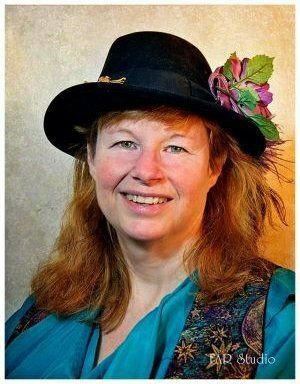 Jane Jensen designed and wrote the Gabriel Knight series, bringing more mature themes and stories to adventures, while Lori Cole co-designed and wrote the award winning RPG/adventure series, Quest for Glory. In a male-dominated industry, consider for a moment that of the six flagship adventure series Sierra produced, three were designed or co-designed by women. Of the other three (Police Quest, Space Quest and Leisure Suit Larry), Tammy Dargan was mainly responsible for the design of Police Quest: Open Season and the first SWAT game, while Leslie Balfour co-designed the unreleased Space Quest 7. Regardless of gender, it was the people employed by Sierra who made the company so unique and so successful, and while some, like Ken and Roberta, have retired from the industry, others have remained active and gone on to create new titles independently. Along with a remake of the first Gabriel Knight game, Jane Jensen designed Gray Matter and Moebius: Empire Rising. Lori and Corey Cole developed the critically acclaimed Shannara and are currently working on Hero-U, a spiritual successor to their Quest for Glory series. Mark Crowe and Scott Murphy, the two guys from Andromeda most responsible for the Space Quest series, are in the final stages of their eagerly-anticipated SpaceVenture. Josh Mandel has lent his talents to numerous games, both as a writer/designer (Callahan’s Crosstime Saloon, Insecticide) and actor (Asylum). Not all alumni have stayed in adventure games, but many who got their start at Sierra have since moved into senior positions within the gaming industry. Marc Hudgins, whose artwork credits include the Quest for Glory series, went on to work on Sid Meier's Civilization and The Elder Scrolls Online, while Chance Thomas, who composed the soundtrack for Quest for Glory V: Dragon Fire, went on to work for Oscar- and Emmy-winning projects and has continued to create music for games such as The Lord of the Rings Online and DOTA 2. When considering Sierra’s legacy, we must also look at the pioneering use of technology. Always seeking a way to make their adventure games more immersive, the company became the first to commercially create a game that supported the AdLib sound card and external sound devices such as the Roland MT-32. For King’s Quest IV, released in 1988, players were offered the choice of hearing the soundtrack composed for the cheaper AdLib card or the top-end Roland MT-32. Both versions were vast improvements over the single sound-generating PC speaker that came with the IBM PC and its clones. Sierra’s adoption and support of CD-ROM technology allowed far greater immersion in adventure games and helped popularize the new medium. The 1990 remake of Mixed-Up Mother Goose was one of the earliest games produced on CD-ROM, allowing for voice acted speech to replace (or complement) the text in the game. It should be noted, however, that Sierra was not the originator of this trend. Although Mother Goose or King’s Quest V are both regularly credited as the first CD-ROM games, Cyan’s The Manhole was released in 1989 on CD-ROM, a full year before both Sierra titles. Still, Sierra was far more prominent at the time than the fledgling pre-Myst Cyan, so the company’s role in fostering acceptance of the new technology was highly instrumental. This support for CD-ROM technology progressed to the point that it enabled the now-common use of Hollywood talent in games, actors such as Robby Benson in King’s Quest VI and John Rhys-Davies in Quest for Glory IV. 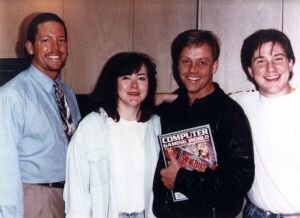 The cast of the first Gabriel Knight game included thespians of such calibre as Tim Curry, Leah Remini, Mark Hamill and Michael Dorn, showcasing Sierra as the early leader in computer game vocal talent. Rudy goes on to say that, “Just because most current-generation gamers haven't heard about Sierra doesn't mean Sierra has lost its legacy. In many ways they pioneered new technologies in gaming and nothing can ever change that. Even in 100 years, Sierra will still be the first developer to use a Roland sound module and the first studio to play games over a modem. In the early 2000s, there was an upswing in interest for all-things-Sierra. Somewhat ironically, at a time when Sierra had closed their internal development studios and were no longer pursuing their landmark adventure game series, the internet gave rise to what was to become a field of fan-produced games. Some groups of avid adventure gamers harnessed the spirit of the golden age and succeeded in making their own entries in the worlds Sierra created. One of those groups was Phoenix Online Studios, who started working on their ultimate fan-project, King’s Quest IX: Every Cloak Has a Silver Lining. A group of committed King’s Quest fans, their game was an attempt to tie up the King’s Quest stories after what they considered the lacklustre official final installment, Mask of Eternity. Running afoul of then-Sierra owners Vivendi Universal, they eventually negotiated a fan licence to continue the game episodically as The Silver Lining. Katie Hallahan Rahhal, designer and PR Director for Phoenix Online, believes that part of the enduring legacy of Sierra is that fans, like themselves, grew up and matured along with the games. 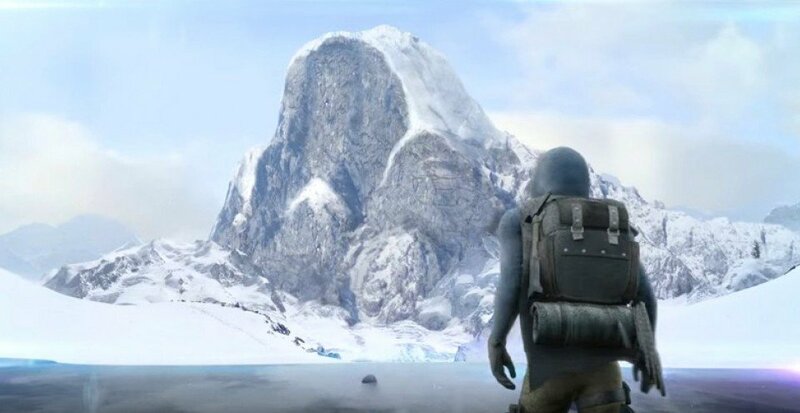 Any idea which game the title picture is taken from? @scorp18 I believe it’s a screenshot from one of Sierra’s label intros. It’s not a game screenshot, but a screen capture from the relaunch of the new Sierra label a couple years back. ... And in addition to the “flagship” Sierra series designed by women, Christy Marx designed the rather excellent “Conquests” series: Conquests of Camelot and Conquests of the Longbow.